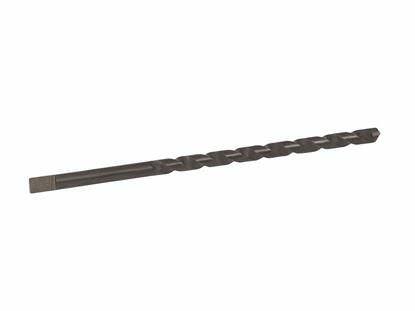 Tapcon® drill bits are carbide-tipped bits used for drilling holes for the Tapcon® concrete screws. The tip of the drill bit is made out of carbide and can be used to drill into concrete, brick or block base material. The Tapcon® drill bits are available in two diameters: 5/32" (for the 3/16" diameter Tapcons) and 3/16" (for the 1/4" diameter Tapcons). The 5/32" diameter is available in 3-1/2", 4-1/2, and 5-1/2" lengths, while the 3/16" diameter is available up to 7-1/2" in length.